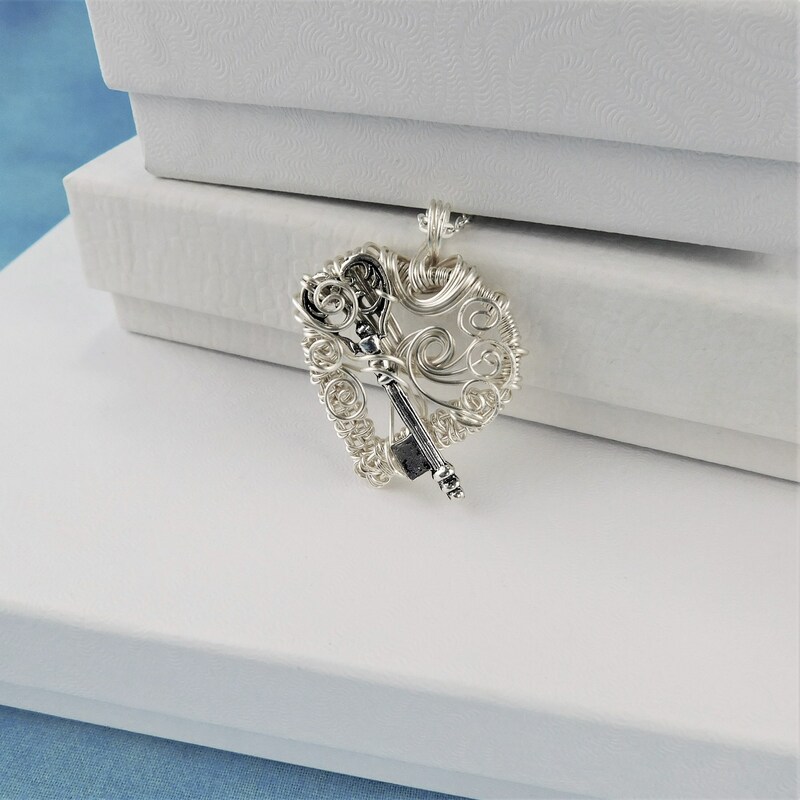 Give her the key to your heart. 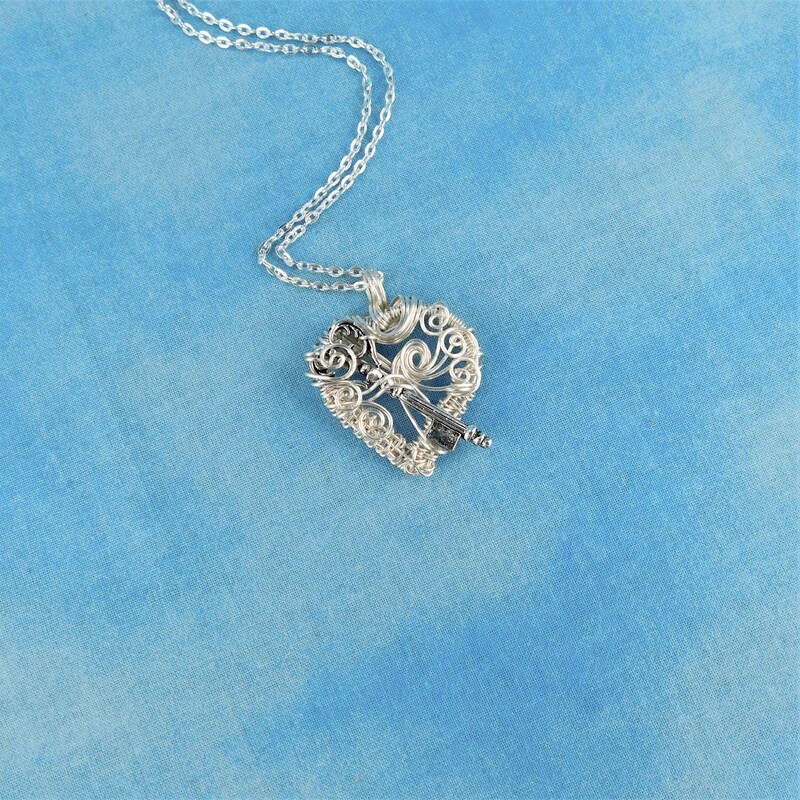 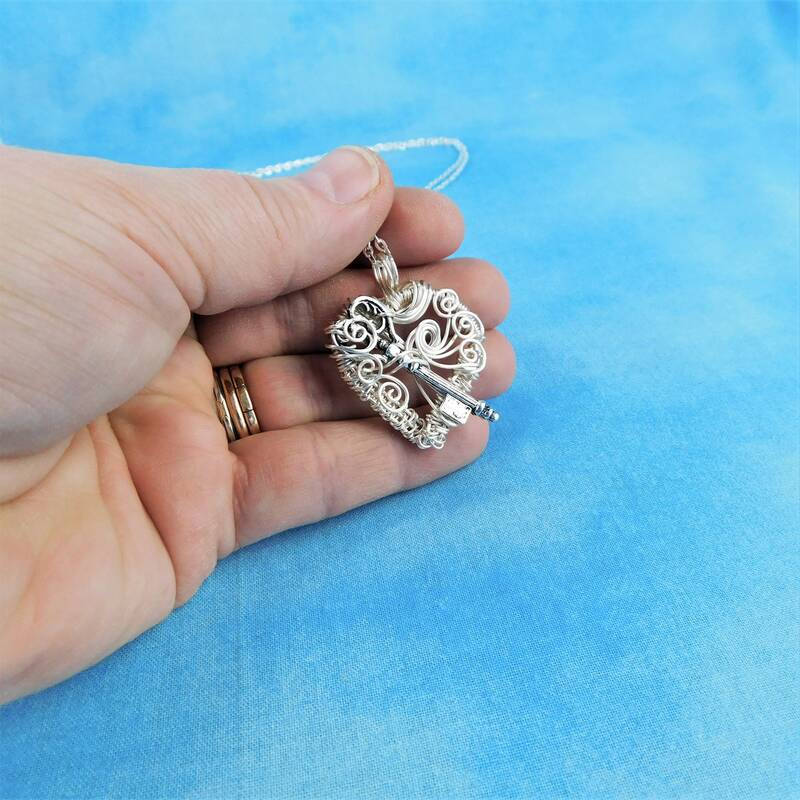 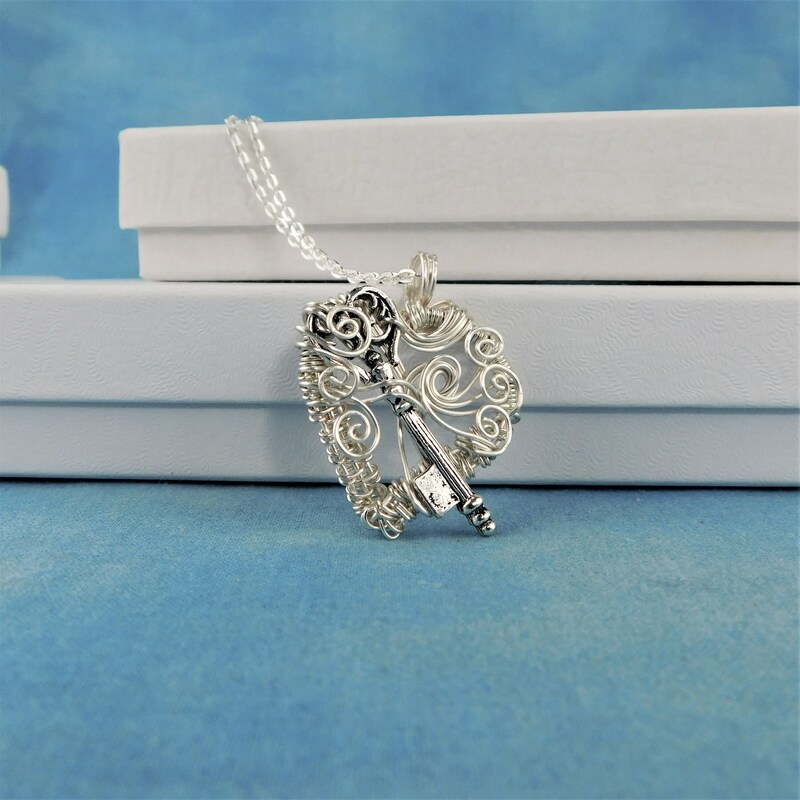 A meticulously hand woven heart frames a silver key, embellished by handcrafted scroll work of wire filigree. 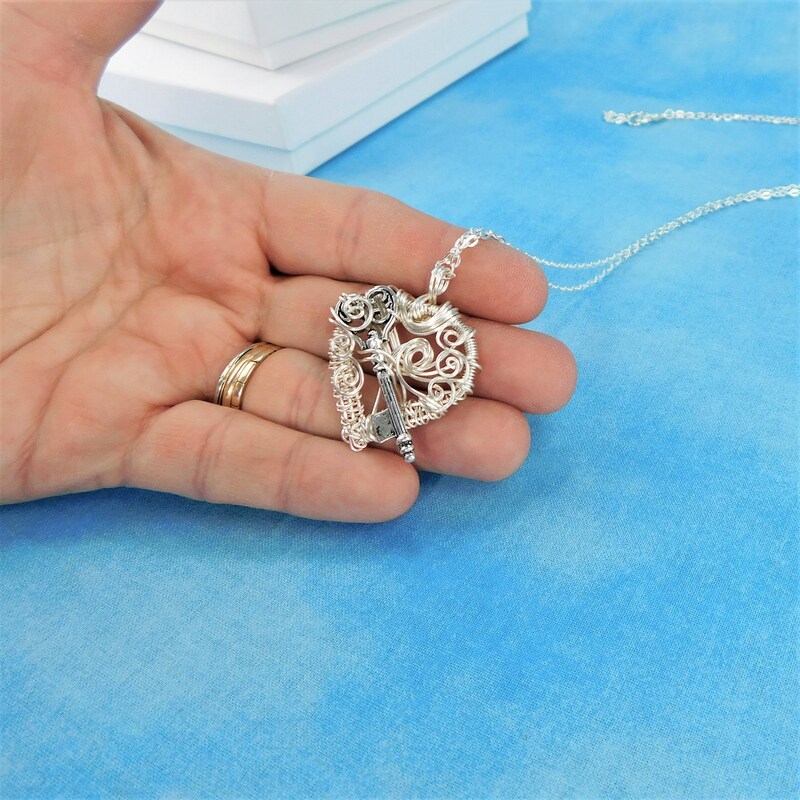 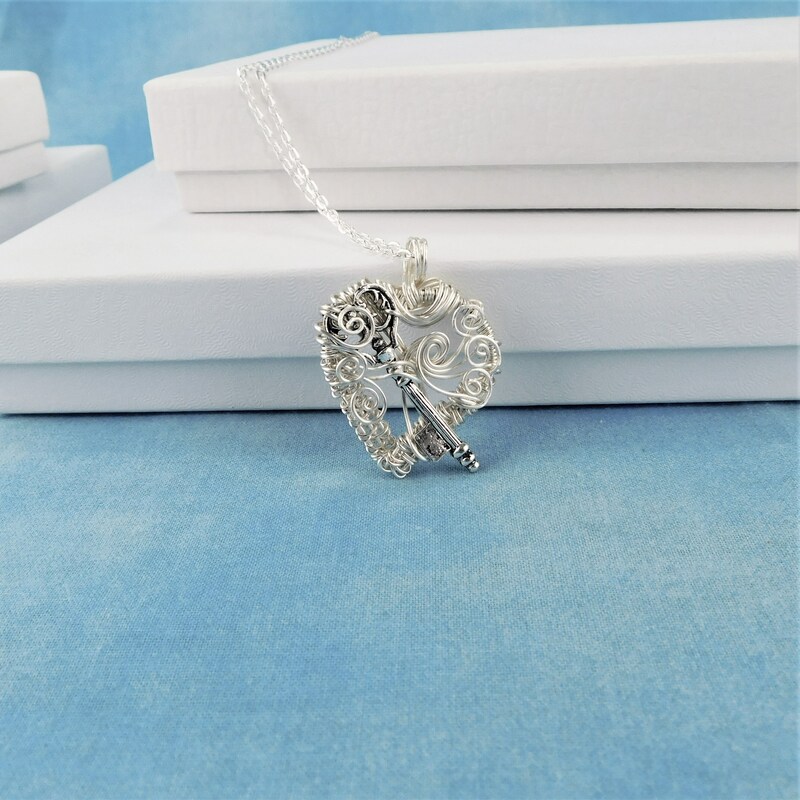 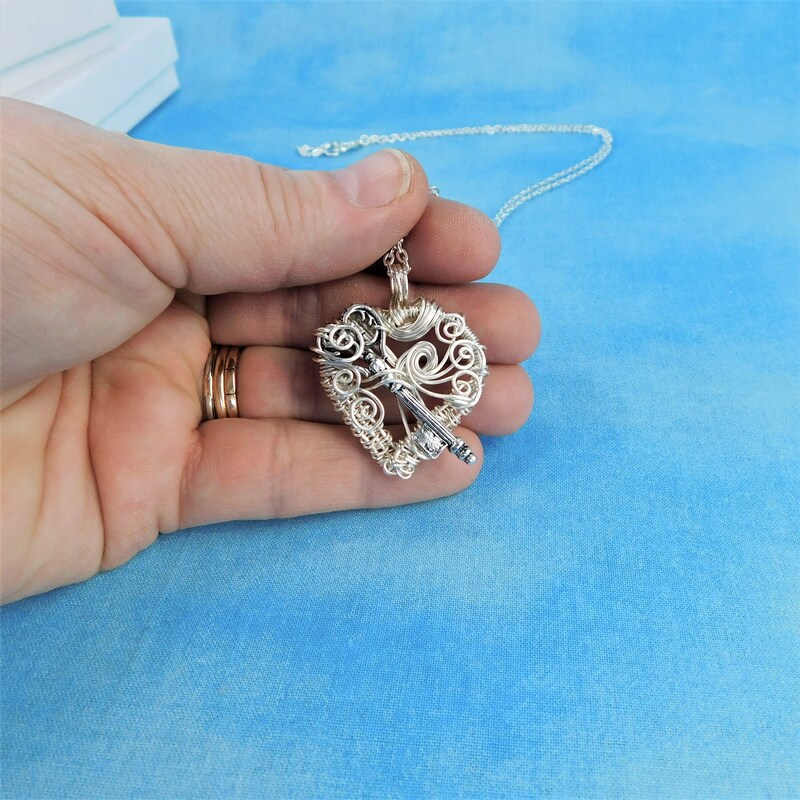 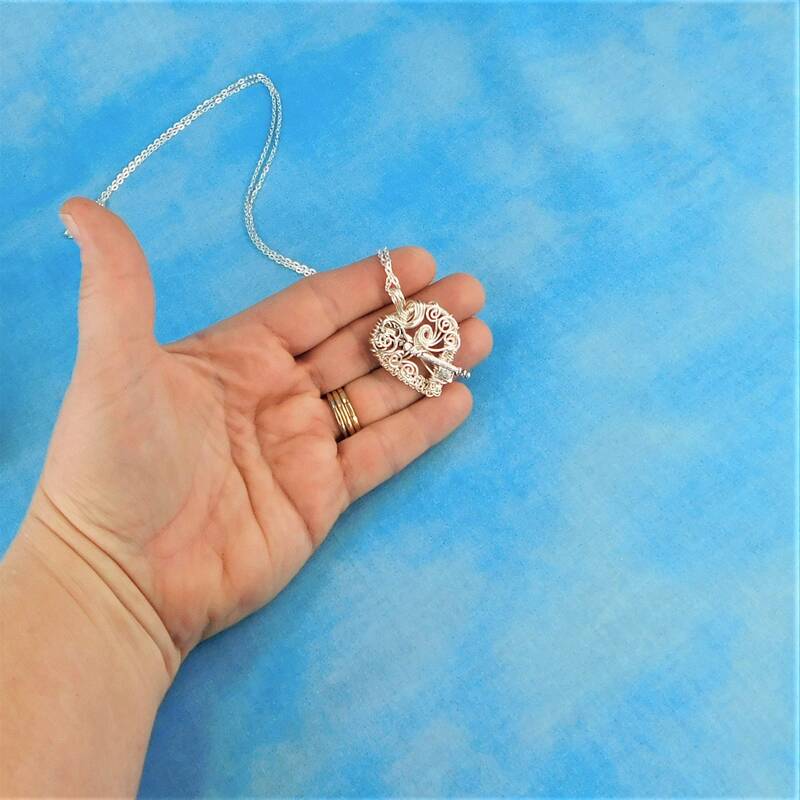 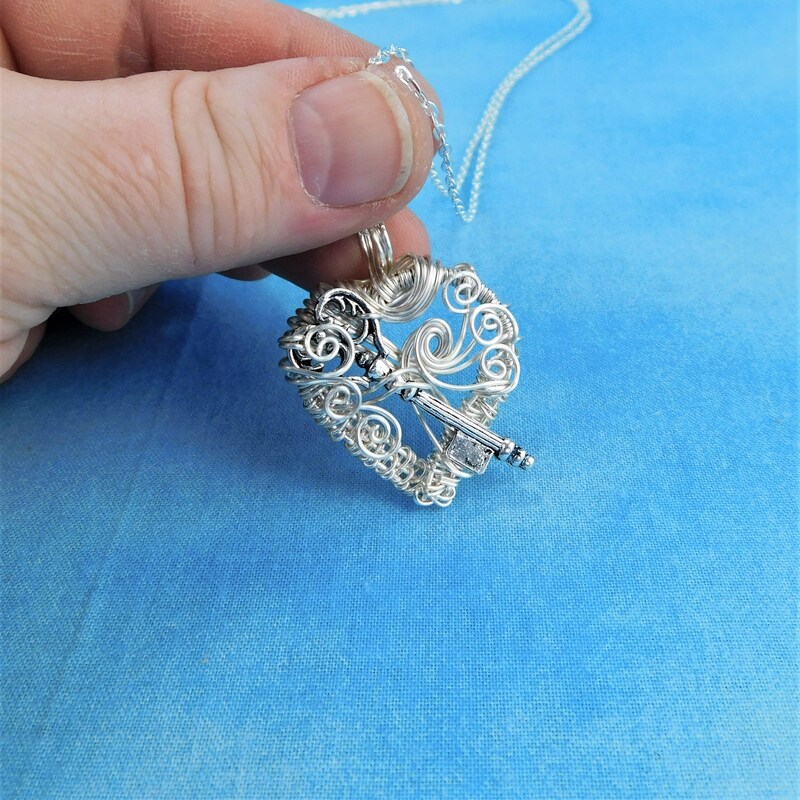 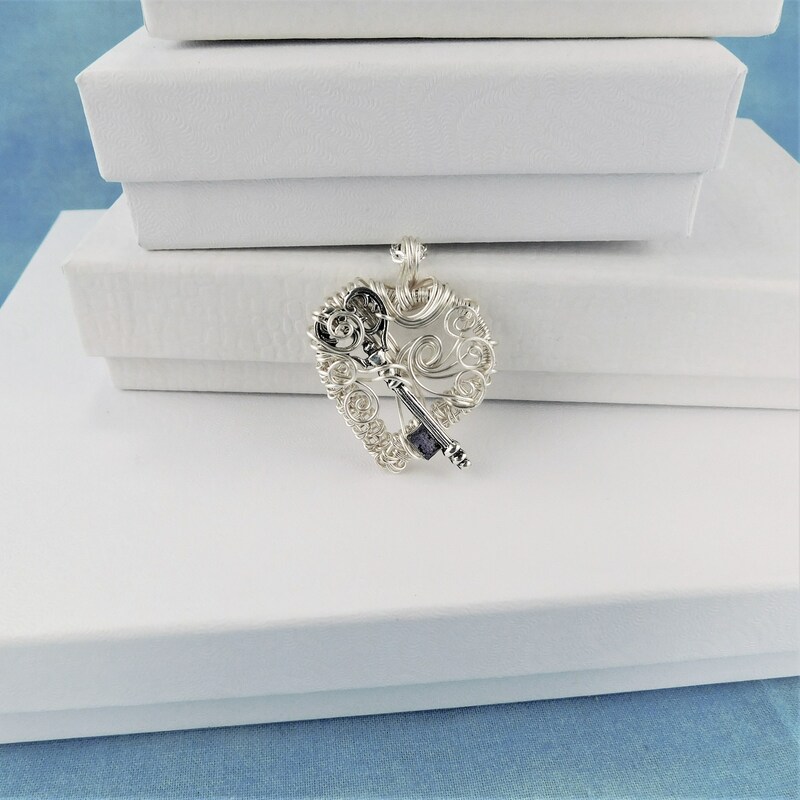 The pendant measures 1 1/4 by 1 1/4 inches and comes with a FREE coordinating chain with lobster claw clasp, measured to your preferred length.